Interesting. 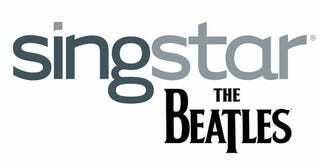 Yesterday, we ran a story from British trade site MCV, who claimed that Sony had signed a deal with EA for the PS3-exclusive release of Singstar: Beatles. Thing is, Harmonix are being all...funny about it. Harmonix's Sean Baptiste has issued a short, blunt statement on the matter, saying "This isn't true, just a misheard rumor. I'll have more details later in the day about whatever it is they misheard." The game was rumoured to be a "port" of The Beatles: Rock Band, but Baptiste's comment casts some serious doubt on that. Incidentally, no details were provided on just what it was MCV "misheard," so colour us intrigued on just what is going down here.